Outset was delighted to be a co-producer of the British Pavilion at the 53rd Venice Biennale. In collaboration with Thomas Dane Gallery, London; Marian Goodman Gallery, New York and The Art Fund Outset Production Fund Partners supported Steve McQueen’s ‘Giardini’.The film takes its name from the ‘Giardini Pubblici’, the gardens situated in the Castello region in the eastern part of Venice, which since 1895 have housed the Venice Biennale. The split screen film documents the area out of season, when stray dogs wander scavenging for food, strangers skulk in the shadows and lovers meet. 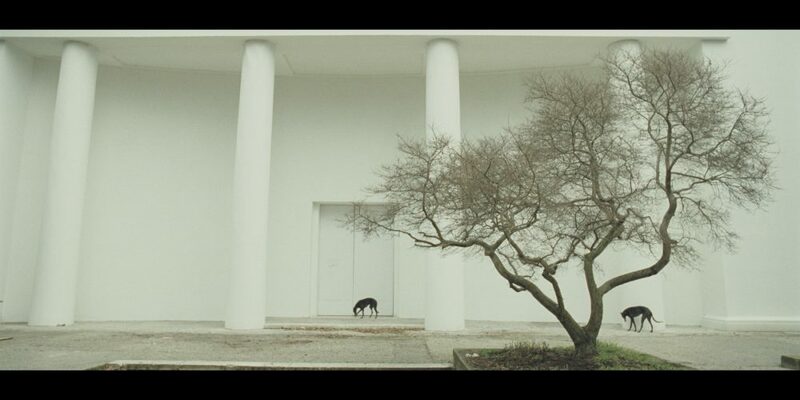 By using the medium of film McQueen’s ‘Giardini’ allows the viewer to experience time passing, to allude to the eighteen months when the gardens are empty and the spotlight is elsewhere. With its poetic simplicity ‘Giardini’ revels in the beauty of the unseen and unheard, whilst in turn exposing the spectacle of the Biennale and its fleeting nature. McQueen works predominantly in film and is considered one of Britain’s most influential artists. He was awarded the first ICA Futures Award in 1996, the Turner Prize in 1999 and an OBE in 2002. His work is represented in museum collections throughout the world and he has shown widely in important group and solo exhibitions. ? ?These include Documenta X and XI, the 50th and 52nd Venice Biennales, Musée d’Art Moderne de la Ville de Paris, Museu Serralves, Oporto, Fondazione Prada, Milan, and the Renaissance Society, Chicago.